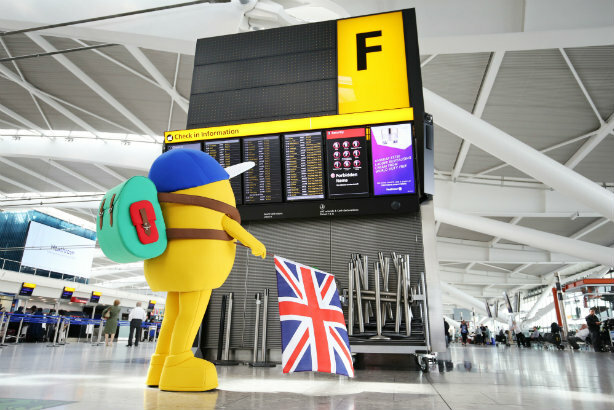 Mr Men character Mr Adventure is seen navigating his way through Heathrow Airport in a video promoting his role as the "new face of family fun" at the airport. The cartoon character features on signage and in children's play areas throughout the airport this summer. The new video, published on Friday, is the fourth in a six-part series on his journey through the airport. Heathrow’s busiest day this summer is likely to have fallen on Friday 22 July, with 130,000 passengers heading off for their summer break. Over the summer as a whole, about 330,000 journeys will be made by families travelling with children under the age of 16 . Separately, the agency Aduro Communications was taken on in June to create a campaign to celebrate Mr Men and Little Miss' 45th anniversary year, and the children's brand has received widespread publicity for a selection of new, modern characters created for the milestone.